No matter the success rate, each year we make certain promises to ourselves to be better than the year before. Whether to be a better friend, a better partner, to be healthier, fitter or more organised so many of us make these resolutions that quickly fizzle out before we even make it to the second month. It may not seem all that surprising then that research shows only 8% of people who make resolutions each January actually achieve them. Where people go wrong is that they make drastic statements and inconceivable goals that don’t have an achievable plan. Much better to make small steps at a time that are achievable and lead on to bigger and better things. The great thing is that some of the most common resolutions for bettering oneself do not just have to live in your personal life; they can be a powerful aid to help you grow your business too. 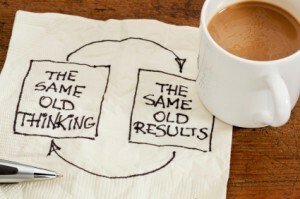 The same thing applies that small adjustments can pave the way for future improvements. Both individuals and marketers alike are notorious for making empty resolutions but realistic aspirations can provide you with the determination and desire to achieve the results you need. Below are our top 5 resolutions that can be applied to both individuals and businesses and the ways in which we can help you achieve your aspirations for the year ahead. It’s easy to get too comfortable with the ones you love and be too wrapped up in your own existence that you forget the simple things. The quick “I love you” at the end of the day or the small act of kindness that reassures them you care, can be a sure way to keep your relationships on track. In the same way, finding out what it is that customers really want, what they are satisfied with, what they are not happy about – all these things can be a way to show your customers that they are at the forefront of your business and everything you do is for them. Customers need to feel understood just as much as the people you really care about. We also pride ourselves on gaining fully representative samples. So for example, getting the views and opinions of customers who do not have access to digital devices, or are disinclined to use them can be important. Adding Computer Aided Telephone Interviews (CATI) alongside an Online Survey can boost completion volumes, improve representativeness and ensure that key quotas are hit. If you need to monitor customer satisfaction on an ongoing basis but can’t commit to repeating large scale surveys then look no further! We can help you set up a Customer Panel that can act as an alternative. Customers on the panel agree to participate in research for a minimum number of times each year in return for an incentive. Panels can be useful for rapidly understanding the customer satisfaction impact of a problem or new feature; as well as for brands or businesses who are in an ongoing relationship with their customers. Today, more than anything, we find ourselves nose down on our phones, multitasking during valuable time with friends and family and not providing them with our full attention. For many of us, 2016 may be the year that we finally make the effort to really engage with our friends, to be more loyal and live in the moment. Likewise, as a business, are you simply administering transactions, or doing things that build long-term affinity? Year-round engagement and mutual understanding with your customers provides emotional and personal touchpoints that help to build “friends” for life. Mapping the customer journey to and through the purchase is a sure way to create mutual value with your customers. You can do this for the current actual journey and the ideal customer journey. It will help you spot opportunities to add value, gather new information and set expectations as you go. Our experience of running client workshops to map customer journeys has proven that the process never fails to turn up unexpected gaps, disconnects, poorly written communications and opportunities to improve performance. Bored with your hair style? Your wardrobe? The beginning of the year is the perfect time to update your look and give yourself a confidence boost. These may be a little drastic for a brand to achieve but when it comes to marketing campaigns, there’s no need to reinvent the wheel. Simple updates can help you to breathe new life into your brand, get you noticed and see that revenue increasing! You need to find ways to encourage your customers to buy more and more often whilst simultaneously improving satisfaction. One way we can help you achieve your goal of increasing customer revenue is to encourage your customers to use your products or services more frequently. In simple terms, a habit is a behaviour done with little or no conscious thought. Brushing your teeth for example, checking your Facebook feed or buying your Skinny Café Latte. Companies that form strong customer habits enjoy several benefits to their bottom line. They successfully attach their product to internal triggers. Instead of relying on expensive marketing, habit-forming companies link their services to peoples’ daily routines and emotions. Revenues increase and costs fall. Category leading brands, and many others like them, design their customer or user experience around the four stages in the Hook model of habit formation:- the trigger; the action; the reward; and the investment. We have devised new research methods and idea generation workshops that systematically apply the Hook model of habit formation such that businesses and brands can successfully increase frequency of purchase or brand engagement and long term loyalty. An age old resolution for all of us. Don’t expect a different outcome unless you try new things. If something isn’t working try something new that will engage your customers. 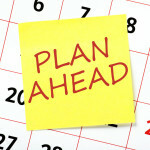 Plan your year ahead and how you are going to acquire those all-important customers. Collaborate on ideas and discuss how these can be put into place effectively. Running Revolution & Evolution testing programmes can consistently boost your new customer acquisition performance. But doing this successfully requires organisation – the key to putting your ideas into practice and making something happen. We can devise, facilitate and write up Proposition Builder workshops attended by you and your colleagues. These focus upon sharing and building upon ideas to engage and develop relationships with your new customers & prospective customers. These workshops can be particularly valuable where you have been marketing the same product or service over many years and the messaging and creative has become pretty stale. The workshop can suddenly open up new promotional angles and ways of engaging. Contrary to what you may think, Creative development research is not always about critiquing, evaluating or ‘testing’; but can be used to enhance and improve – to help make your brand’s communication ideas more effective. Strategic development: understanding the relationship of the consumer to the product category in general and the brand in particular, identifying the problems and opportunities the brand could address. What’s the hook and who are we talking to? The creative concept: how best to express the strategy. Which ideas work best? How can we nurture them to greater potential? The recommended route: how will the idea work? Is it delivering against your objectives? 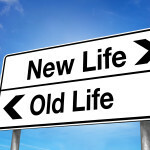 The start of a New Year is the perfect time to shake things up, do things a little differently and take a fresh approach. Of course, this holds true for brands and businesses too. A New Year, a new budget – a great time to try something new. Many relationships turn sour because things become samey, predictable and dull but how do you prevent this from happening or find ways to rekindle the spark? Learn from those that you lose. Your business or brand is only likely to be growing rapidly if you are successful in retaining the customers that you already have. Strategies to minimise attrition, reduce detraction and nurture advocacy are all likely to pay dividends over the medium to long term. We can run independently researched Exit Interviews, to help you maximise learnings when you lose a customer and gain an Outstanding Understanding™ of these customers. 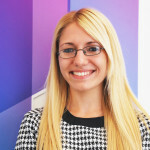 Independently conducted Customer Exit Interviews can be incredibly revealing about why custom is being lost, particularly in B2B relationship-managed sectors where gripes about the client account team are unlikely to be reported back and the loss of an important relationship can represent thousands of pounds of revenue. Loyalty programmes today have become as plentiful as they are predictable. And each year businesses put out more, often expecting a different result or a better return. Very few businesses in any industry are really confident that they know what actually works to engage customers. Cookie-cutter solutions and one-size-fits all programmes may succeed in acquiring new customers, but most lack the personalised experience that leads to deeper engagement. 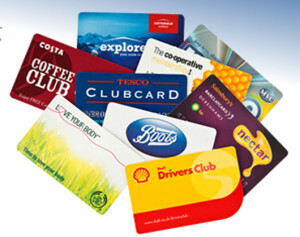 Customers sign up to numerous reward programmes that all offer varieties of the same thing. But what makes you stand out? We can help you discover what customers really would find beneficial, which will lead to greater programme participation. In addition, we can help you look beyond operational metrics to evaluate the relationship your programme builds with customers. Companies that customise loyalty programmes to appeal to different demographics of their customer base will achieve greater engagement and satisfaction, for both customers and the brand. We can help you use RFM to identify your best customers. We can analyse their characteristics and purchasing behaviour and try to understand what distinguishes them from typical customers. Do they tend to buy a certain product? Do they live in demographically similar neighbourhoods? Are their lifestyles and age similar? The answers to such questions help you sharpen your understanding of your target market and you can then be more precise in communicating with current and prospective customers. January is filled with goals and good intentions for the New Year. Although a worthy aspiration, the desire to be better than you were before can be daunting and it’s easy to lose sight of how to start. Keep things simple, start small and press refresh for a 2016 that is well-organised, full of friendship and incredibly successful. Creating a Customer Panel? With Brexit looming now really is the time! Hand over the Kleenex! Why brands are determined to make us cry.